Ormond Beach Solar is a top solar energy contractor servicing Ormond Beach, FL and the surrounding communities. We perform both residential and commercial work of all sizes. We perform quality installations, and will work with you to make sure your system is performing optimally before the job is done. We have the widest range of solar products and services in the Volusia market. When you make the decision to install solar power products in your home or business, you are not only helping Mother Earth, you are making an important financial decision that will undoubtedly improve your financial future. First, you are going to save on your monthly power bill. Also, you are going to increase the value of your home or business. Our technicians at Ormond Beach Solar will show you how your investment will pay for itself over time. There are a lot of places in the USA where solar energy may not be practical because of the weather conditions. Places such as the Pacific Northwest and upper New England have cloudy days more often than not. It is just the opposite here in Ormond Beach, FL. The area you live in is truly blessed with abundant sunshine all year round. It is one of the reasons you owe it to yourself to check into all the many excellent solar products we have available for you. 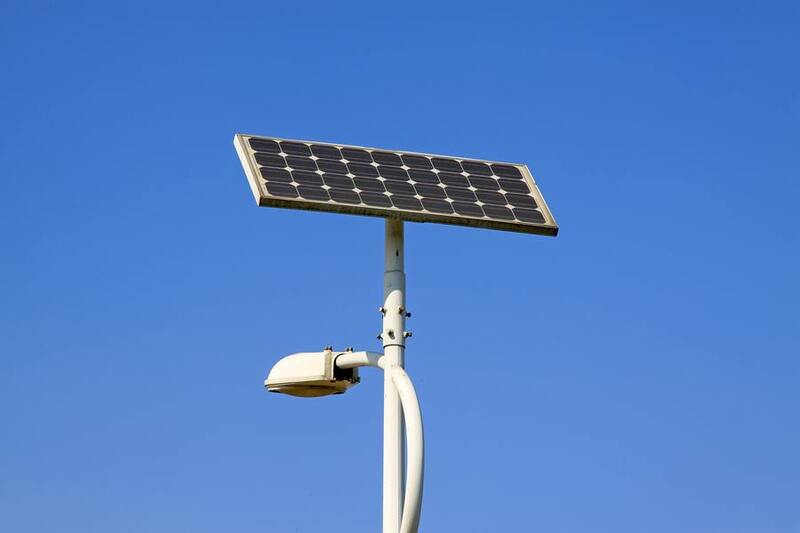 Solar energy products will save you a lot of money over time, are easy to find a place to install, and they are an environmentally-friendly product. A solar product only works well if it is made from quality parts; that is why we always purchase solar products that are well crafted using the finest parts that include the newest solar technologies. All this starts with the most important part, the solar collectors themselves (often referred to as solar panels). 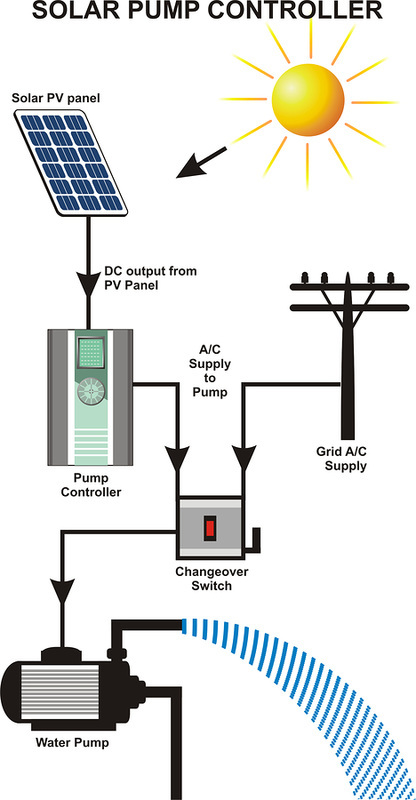 For our solar panels in Ormond Beach, we use fairly simple technology when you stop to think about it. They consist primarily of a group of what are called ‘photovoltaic cells’ built into them. These cells have a dual purpose: they have the ability to capture the sun’s rays and they also have the ability to then convert these rays into a usable energy source. Their quality is determined by their size and by the materials that go into them. What are high quality photovoltaic cells made up of? They contain such materials as crystalline silicon and gallium arsenide; this is very similar to the sophisticated technology that goes into a computer microchip. Generally, we will install solar collectors on your roof in a direction that faces the sun for a majority of the day, but some people prefer angled stands out of the way someplace in their yard. Either way they will do the job well even on a day that is partly cloudy. At Ormond Beach Solar, we are the experts at installing Ormond Beach solar panels that will greatly reduce your monthly power bills, and also increase the value of your home. 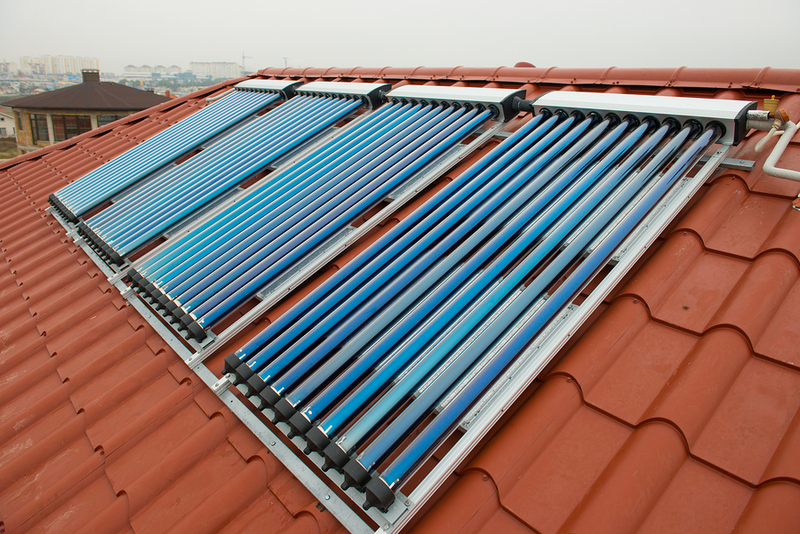 One of the most practical uses for solar energy is for it to be used as a supplemental source for heating water. 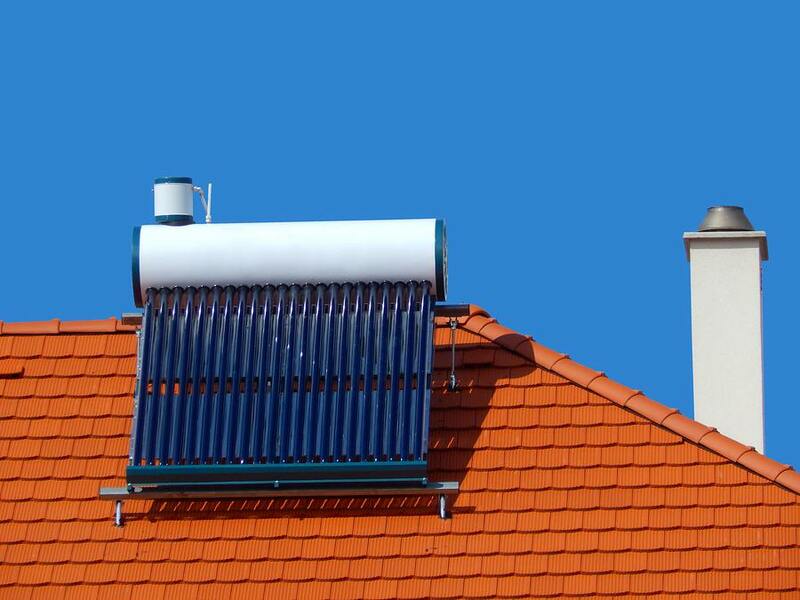 Don’t let the word ‘supplemental’ in that phrase throw you off; even though solar water heaters usually work in addition to another source of hot water supply, there is enough year round sun in Volusia County to make them the main source to generate hot water for you. That adds up to a tremendous amount of savings for you in a years’ time if you consider that it is estimated that over 30% of your home energy costs come from heating the water that you use to bathe, shower, wash dishes, do laundry and many other tasks. 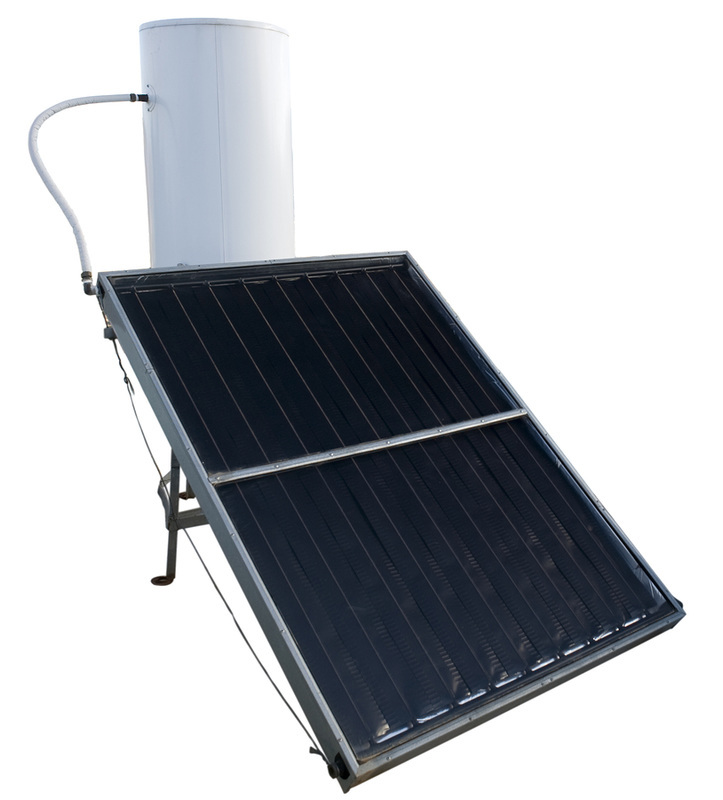 Another nice thing about Ormond Beach solar water heaters is that they are not as expensive as some other solar devices because they only need to absorb the heat from the sun’s rays, not change it into usable energy. This makes it a very affordable technology when you consider the long term savings that you will get from the use of it. They simply work as water passes through tubing built into the solar panels and the water then picks up the heat from the solar collector as it passes slowly through it. Another solar energy product that we professionally install are solar pool heaters in Ormond Beach, FL. They are very effective at using the heat that solar panels absorb, and powering that energy to heat your swimming pool and spa. With all the available sun that you get in Florida, you can very easily and very cheaply keep your backyard swimming pool at a swimmable temperature nearly all year round. 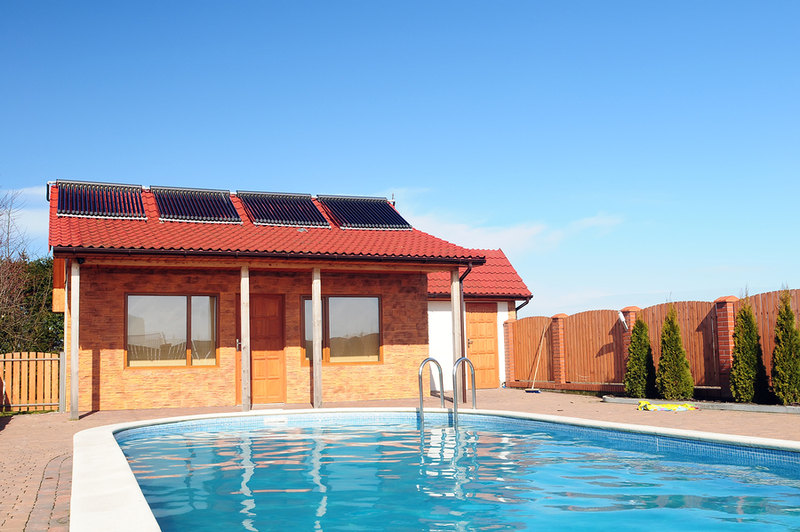 Without a heater on your pool you can probably only swim comfortably 6 to 7 months during the year. Our Ormond Beach solar pool heaters do not only benefit you during just the colder months either; for those dog days of summer when your swimming pool gets too hot you can actually run them at night and they will cool the pool a little as you sleep. At Ormond Beach Solar, we install solar AC systems, which are one of the latest and best advances in solar technology using the sun’s abundant energy to generate power to run your home air conditioning system. Running your air conditioning is one of the most costly additions to your home energy bill if you live in a southern climate like that in Volusia County. A solar air conditioning system will greatly reduce your dependence on expensive public utility energy and really help lower your electric bill in those hotter months that you are running your ac constantly. Bad weather and severe storms are no stranger to Ormond Beach residents, and when these happen it can take out the power for several hours if not days. Having a solar-powered generator for a backup power system is an excellent idea to save you money in the event of a power failure. Ormond Beach solar generators can be hooked up to your refrigerator, freezer, or any other devices where if you lose power to them you will also lose the expensive contents in those appliances. Who does not like a win-win situation and that is exactly what you will get when you install a solar powered fan from Ormond Beach Solar in your attic. Not only will you get the cost benefits from running the system you will also save a lot of money on your air conditioning because it will take less energy to cool your residence. An added benefit will be that your attic is much cooler and better for home storage. These work so well and are so reliable they should be a mandatory part of every new construction project. Many times you can even receive government tax credits for installing these devices. We also have a great service and maintenance team for all of your service needs. If you have an existing solar system that you feel is not operating at peak performance, we can come to your location and perform a thorough inspection and give you feedback on the effectiveness of this system. Our technicians are well-trained at Ormond Beach solar panel repair, and will always treat you integrity and provide fair pricing. When you purchase a solar energy product from Ormond Beach Solar, you don’t just get the product. You will also get the support from our entire company while you own that device. We have skilled solar technicians standing by to take care of any warranty, routine maintenance or repair issues that may come up during the life of your solar device. Even though solar energy products typically require very few if any repairs or maintenance, we still carry a full line of replacement parts in the event that the unexpected happens. Our technicians are highly trained specialists and among the best in the Ormond Beach area. Their installations will always meet every specification and be performed at the highest quality level. Not only do we have some of the best warranties in the industry, more importantly we will stand behind every project and make sure it exceeds your expectations. Maybe you are one of those people that have heard that solar energy products in Ormond Beach are very expensive. They are a financial investment to start with but that is because a lot of high quality parts go into making solar panels and other solar products. Solar energy products have also gone down in manufacturing costs over the last few years because the technology has gotten less expensive and more efficient. There has never been a better time to invest in solar energy devices. Solar energy products have very little negative impact on your life; as a matter of fact they enhance the quality of life all the way around for those that use them. They require virtually no maintenance, are extremely quiet when they are operating, and they are a renewable energy source that leaves little or no carbon footprint. When you need good advice it is always best to ask an expert and that is exactly what Ormond Beach Solar is as far as solar energy products are concerned. We will answer any questions that you may have regarding solar energy products and their installation, and work with you to determine which products match your needs and your budget. 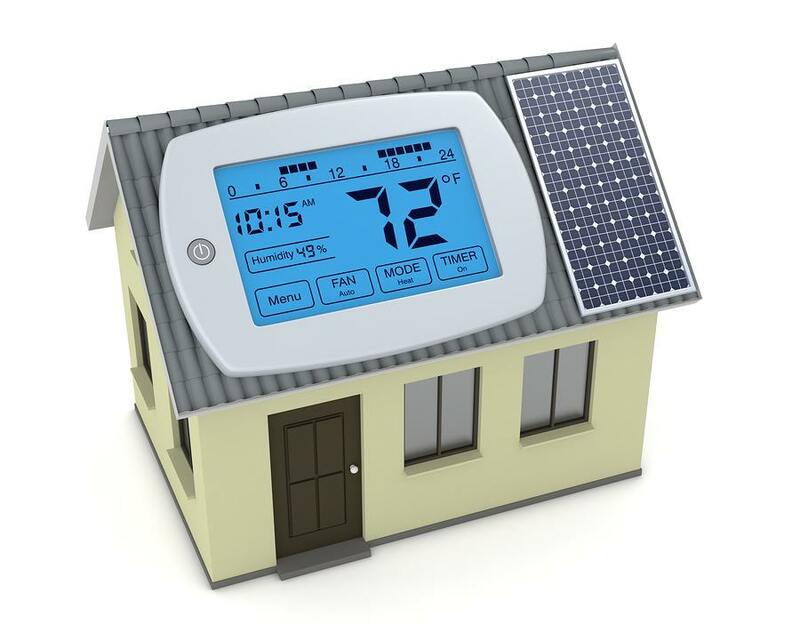 Part of the help we can offer you is to provide you with a free energy audit. This audit will highlight the ways in which solar energy use can benefit you around your house and save you a lot of money over time. You will be pleasantly surprised how far solar energy products have come and just how much they can help you. Not only will solar devices save you money and add convenience to your life, they also will help you if you ever decide to sell your home. People know the value that having solar devices installed on a home will provide and as a result these products will increase the value of your home if you ever decide to sell it. Once the decision has been made in regards to which of our many solar products are right for you, then it will be time to hand your project off to our expert installation teams. 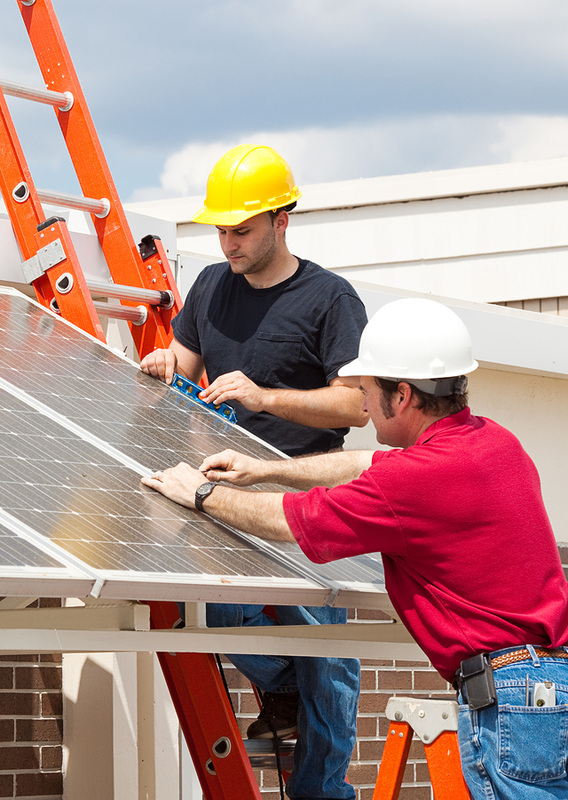 Our installation crews will know the best places to install your new solar device and the best way to install them so you get the most benefit from them. We also realize that your home or business has a lot going on there and we will try to disrupt your routine as little as possible while completing the installation. When we are done installing your solar energy purchase, we are confident that you will join the ranks of our many satisfied customers. Our customers rave not only about the quality of their installation but also about the courteous and professional manner in which are skilled crews go about doing their jobs. Before we leave we will also make sure that you fully understand how to operate your new solar product and you are also aware of any periodic maintenance that needs to be done on it. We believe in a strong commitment to our customers to bring them the best solar products and the best customer service to back up those products with. This is the reasons why our sales keep growing and it is not something we take for granted. The reason we are growing fast is because of the word of mouth our satisfied customers provide for us and we are not about to do anything that jeopardizes that. We truly go the extra mile to give you a positive overall experience with our company no matter whether it is during the sales phase, the installation or any subsequent need you have thereafter. That is why we provide you with the most experienced solar energy product sales and service personnel in the Ormond Beach and Volusia County area. Our knowledgeable service personnel understand solar energy concepts so well that they will even work on our competitors’ products for you. Energy prices may be down now but history shows us that won’t last long. Invest some of your energy savings that you are getting now into renewable and reliable solar energy products. We have several forms of financing available to help you and there are also government rebates in the form of tax credits available too. We will be glad to assist you with both of these processes. So give us a call today at 386-319-0676 to inquire about any of our quality solar products you are interested in. The sooner you make the call the sooner our solar devices will be making your life more comfortable and putting more money back in your pockets. And remember, the solar estimates and advice are always free!